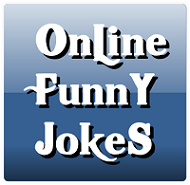 There was a midget down in Texas who complained to his buddy that his testicles ached almost all the time. As he was always complaining about his problem, his friend finally suggested that he go to a doctor to see what could be done to relieve the problem. The midget took his advice and went to the doctor and told him what the problem was. The doctor told him to drop his pants and he would have a look. The midget dropped his pants. The doctor put him up onto the examining table, and started to examine him. The doc put one finger under his left testicle and told the midget to turn his head and cough-the usual method to check for a hernia. "Aha!" the doc and putting his finger under the right testicle, he asked the midget to cough again. "Aha!" said the doctor and reached for his surgical scissors. Snip, snip, snip, snip on the right side then snip, snip, snip, snip, snip, snip, snip on the left side. The midget was so scared he was afraid to look, but noted with amazement that the snipping did not hurt. The doctor then told the midget to get dressed and see if they still ached. The midget was absolutely delighted as he walked around the doc's office and discovered his testicles were no longer aching. "Gee, what did you do, Doc?" he asked. The doc replied, "I cut two inches off the tops of your cowboy boots."